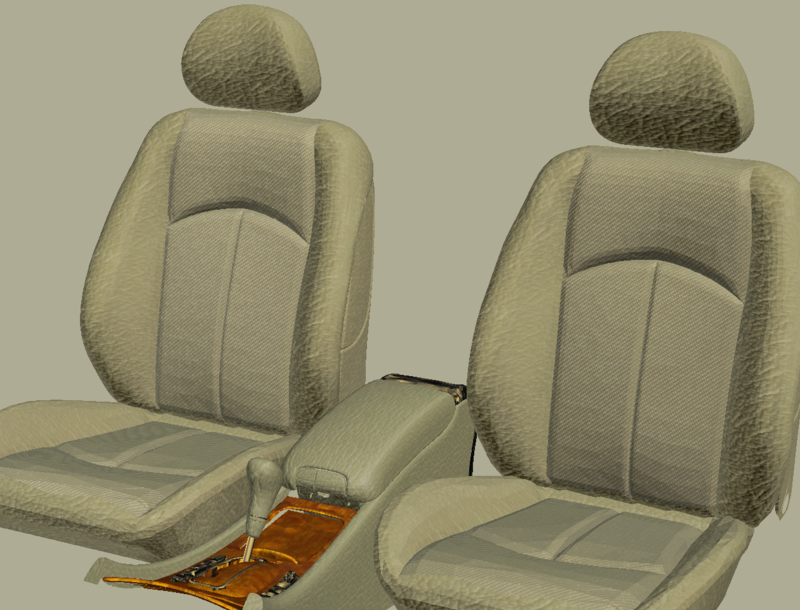 Example of BTF modelling using PLM-C reflectance model. Constantly increasing graphics hardware computational power finally enables fast and realistic rendering of virtual reality models whose realisation was until recently impossible. 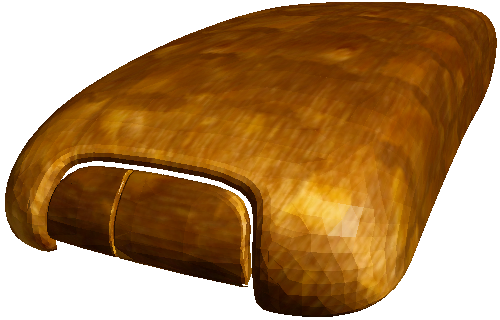 Such realistic models require, among others, natural looking textures covering virtual objects of rendered scene. 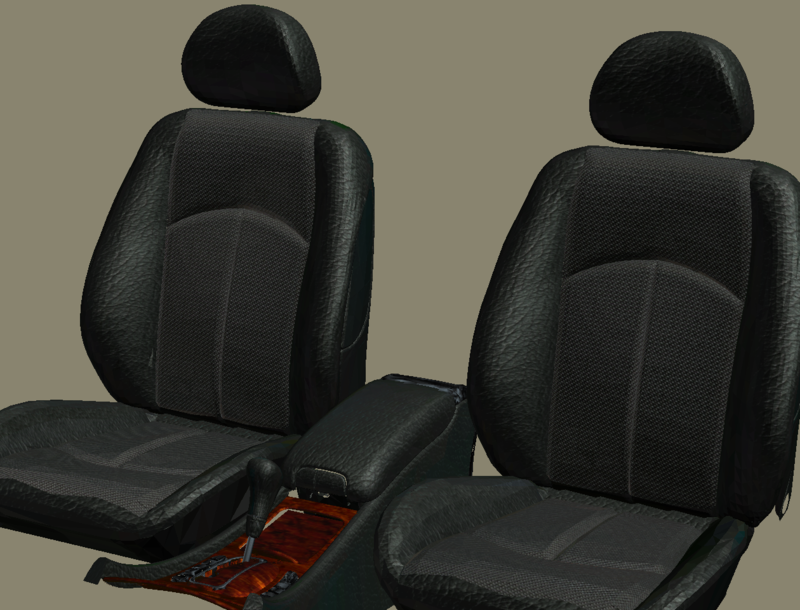 Applications of these advanced texture models in virtual reality systems now allow photorealistic material appearance approximation for such complex tasks as visual safety simulations or interior design in automotive/airspace industry or architecture. For aim of such advanced applications a smooth textures lit by reflectance models alternatively combined with bump-mapping are not able to offer correct and realistic reproduction of material appearance. This is caused due to inherited complexity of many materials whose rough structure produces such visual effects as selfshadowing, masking, interreflection or subsurface scattering. The one way how capture these material's attributes is using much more complex representation of a rough or 3D texture called Bidirectional Texture Function (BTF). BTF is a six dimensional function depending on view and illumination directions as well as on planar texture coordinates. This function is acquired as several thousands of images during varying light and camera positions. However, the huge size of measured BTF prevents it from using for any fast application so introduction of some fast compression, modelling and rendering method for BTF data is inevitable. In this thesis we review BTF acquisition, modelling and rendering methods published so far, survey problems concerning BTF mapping and rendering implementation, surface height approximation and finally propose two novel BTF modelling approaches realised in several BTF modelling methods. The first proposed approach introduces probabilistic BTF model based on Markov random field modelling of BTF subspaces. These subspaces are obtained using BTF segmentation and the regular material pattern is introduced into the model by means of surface height simulation. The second one is based on polynomial extension of one-lobe Lafortune model computed in every pixel of original BTF measurements. The model is further extended by the parameters clustering to achieve higher compression ratio and the BTF sample enlargement by means of an image tiling technique. The first method offer slightly compromised visual quality for some materials and enables compression ratio unbeatable by any other BTF compression or modelling method while the second approach enable BTF modelling in excellent quality with moderate compression ratio. Both mentioned models enable fast hardware implementation and were tested on several distinct BTF materials, theirproperties are discussed and obtained results are compared with the original BTF measurements. Although BTF modelling methods shows excellent performance there are still several problems which limit their wide use in any system of virtual reality. 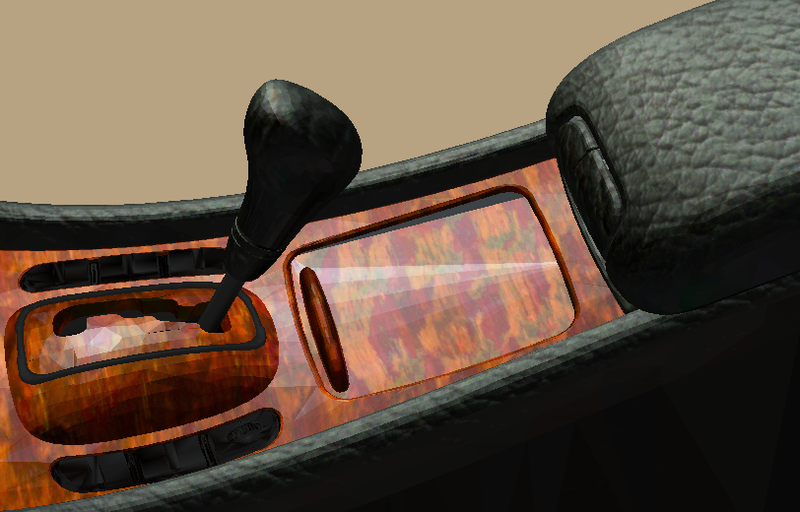 These limitations are within scope of extensive further research in computer vision and computer graphics community. BTF data: Knitted wool - rectified to head on view position from elevation angle 60 degrees and azimutal angle 54 degrees. Animated size 128x128 pixels. Red dot = light, blue dot = camera. 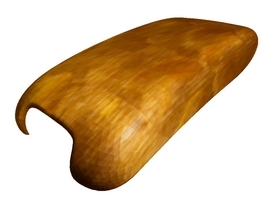 Standard one-lobe Lafortune model (left = original data, right = synthetised results). Polynomial extension of one-lobe Lafortune model (left = original data, right = synthetised results). Corresponding interactive demo is available for wool and leather materials. 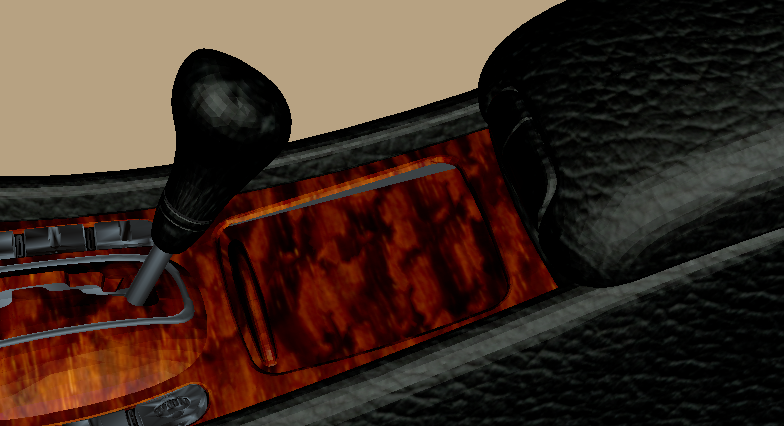 Corresponding video for the light version of interior (PLM-C) is here: xvid, msvid. Example of BTF enlargement for leather material using underlying GMRF probabilistic model. 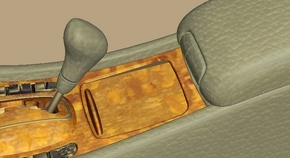 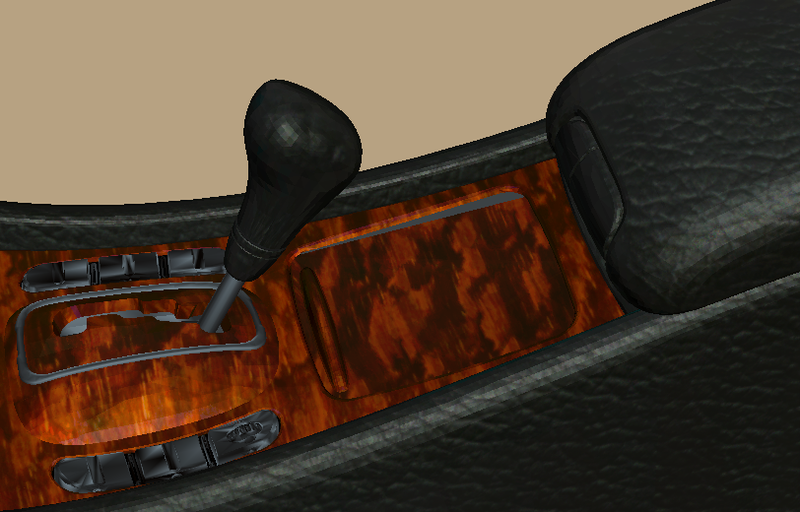 A car armrest covered with lacquered wood BTF by original sampled BTF data (left) and 2D CAR BTF synthesis (right). Corresponding video in different codecs is here: xdiv1, divx, xdiv2. 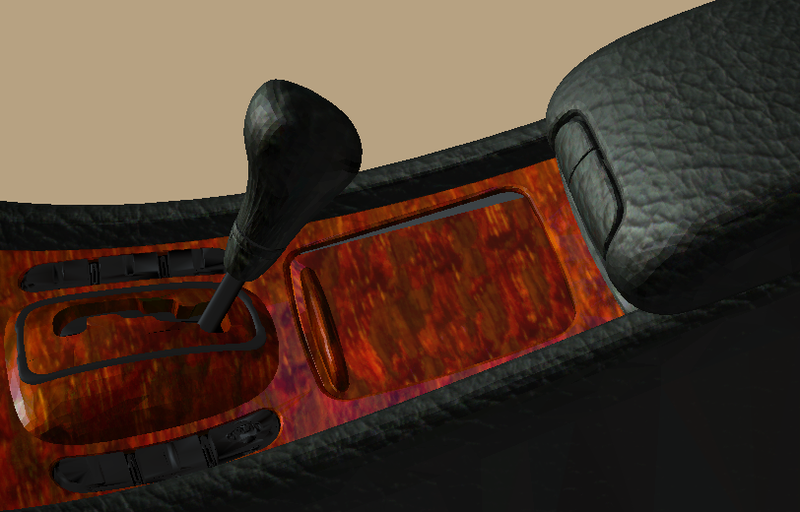 Comparison of original sampled BTF data with proposed probabilistic BTF models' results mapped on a car armrest. Comparison of original sampled BTF data with proposed reflectance and probabilistic BTF models results mapped on a car armrest. 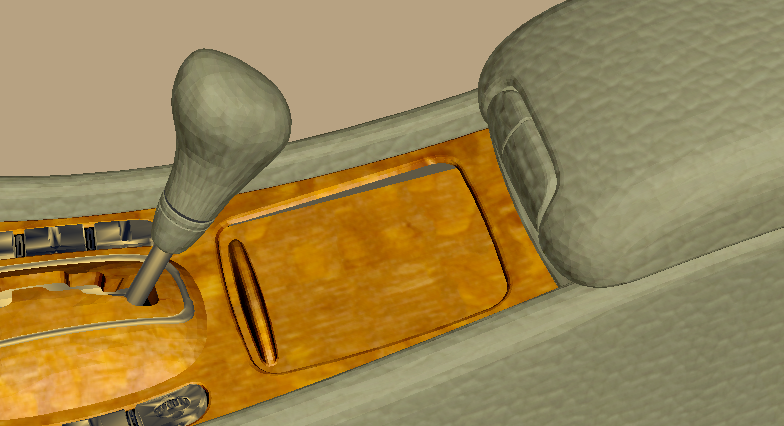 The probabilistic models (GMRF, 2D CAR, 3D CAR) use additional bump-mapping according to sampled range-map. Comparison of original BTF data with the both proposed modelling approaches on a part of car gearbox for different leather and lacquered wood materials.